When you’re one of the largest companies in the world—or just want to present yourself as one—how do you properly announce your newest innovation to your key retailers and other channel partners? 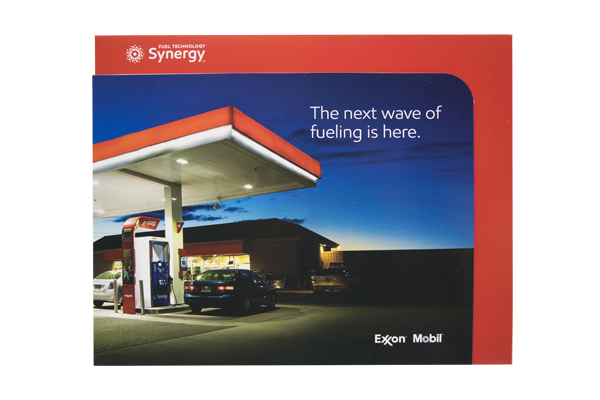 Americhip partnered with Exxon Mobil and its agency to create a high energy mailing piece with a simple yet bold declaration on the cover: “The next wave of fueling is here.” The cover flap flips open to reveal minimal copy and our patented 7” VIP screen. 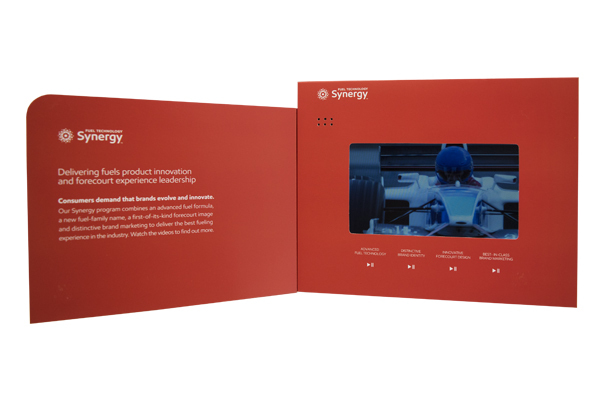 The messaging is delivered through four high-energy videos highlighting the new product and its innovative technology, brand identity, design details and best-in-class brand marketing support. 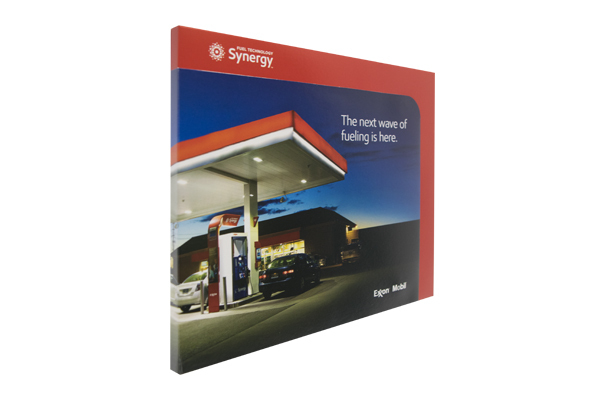 When you’re looking to impress your retailers, distributors or other channel partners, work with Americhip to create a best-in-class Video Brochure.